Miracle at the Mansion is a fundraiser event that benefits Beautiful Restoration, a 501 (c) (3) nonprofit organization to save and restore the historic Edmond governor’s mansion, and to give back to the community by providing a safe place for homeless and survivors of domestic and sexual violence, teaching practical skills and training people for employment in multi-discipline areas, and partnering with community stakeholders to develop programs and outreach. Bring your own chairs & blankets. Please no coolers, no outside food or drinks. Bill Baker is a Christian singer songwriter whose music is Country styled! Bill writes to uplift the Lord & reach out to everyone. 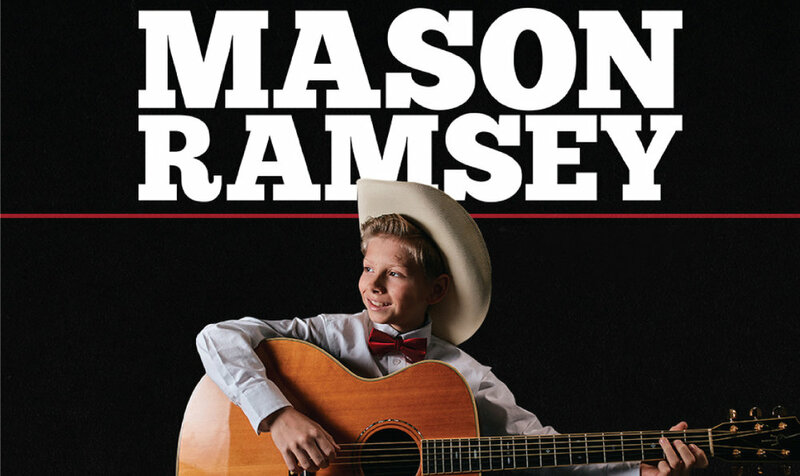 An internet sensation who's captured the hearts of million of fans, Ramsey was discovered in 2018 when a foot-tapping video of the youngster yodeling in a Walmart located in Harrisburg, Illinois, went viral. Watch him on The Ellen Show.